You knew this was bound to happen. Free agent quarterback Colin Kaepernick filed a grievance against the NFL yesterday (Oct 15), accusing the 32 owners of collusion. Kaepernick hasn’t been signed to an NFL team thru the first six weeks of the season, even when injuries to other quarterbacks created job openings. Kaepernick said his agent talked to all 32 teams to let them know he wanted to play this season. He opted out of his contract with the San Francisco 49ers in the offseason. 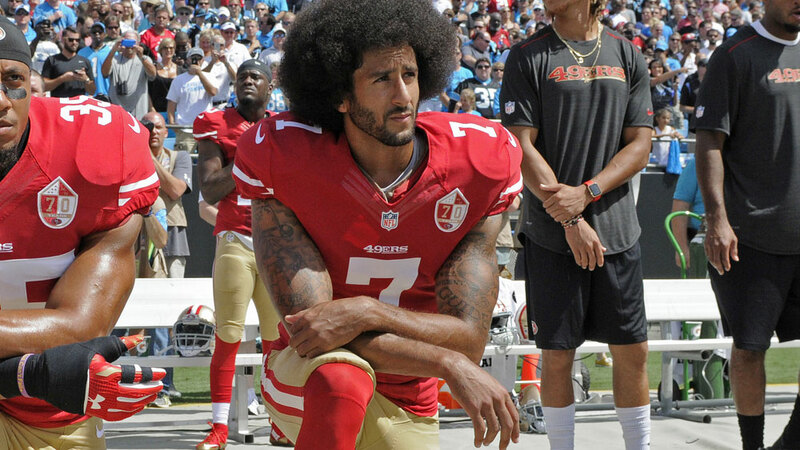 As you know, Kaepernick has been at the centre of controversy in the NFL – after he first sat and then knelt during the US national anthem before games with the 49ers in the 2016 season. 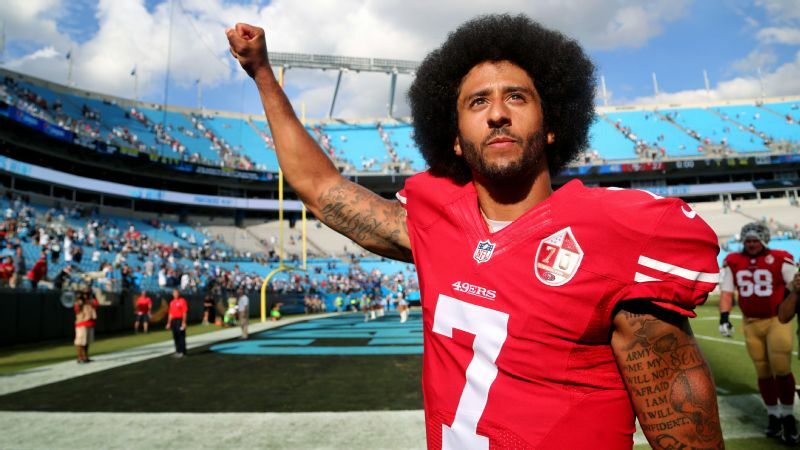 Kaepernick and his legal team are claiming the owners violated terms of the collective bargaining agreement, specifically a clause that prohibits teams from acting together in regards to a player’s employments status. NFL commissioner Roger Goodell has stated on multiple occasions this season that Kaepernick is not being blackballed. What do you think? Is the NFL using Kaepernick as an example? Kaepernick, who brought the 49ers to the Super Bowl following the 2012 season, has said he WOULD stand for the national anthem this season.